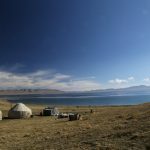 With a relaxed visa policy compared to some of its neighbors, Kyrgyzstan is fairly easy to access for citizens from a number of countries to pass through its’ borders (visa not required). 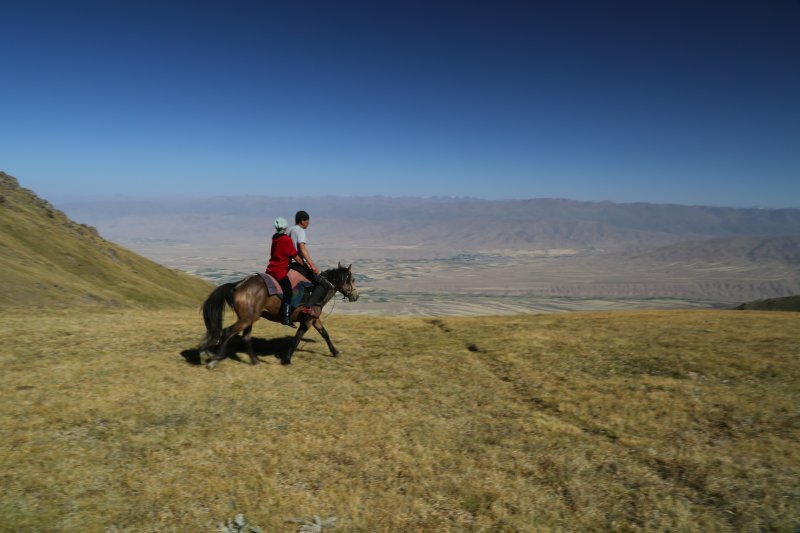 The country boasts a variety of outdoor attractions for the adventurist including trekking, horse riding, sleeping in Yurts, fishing and in the winter skiing and even heli-skiing. The topography is diverse, ranging from arid high altitude landscape to jagged glacier covered peaks. 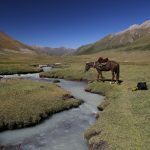 Recommended highlights including trekking in Ala Archa National Park, about an hour drive from Bishkek and home to some of the very endangered snow leopards (at last count there were only eight in the wild in the entire country). Song Kul is a high altitude gorgeous lake located at 3,000 meters. 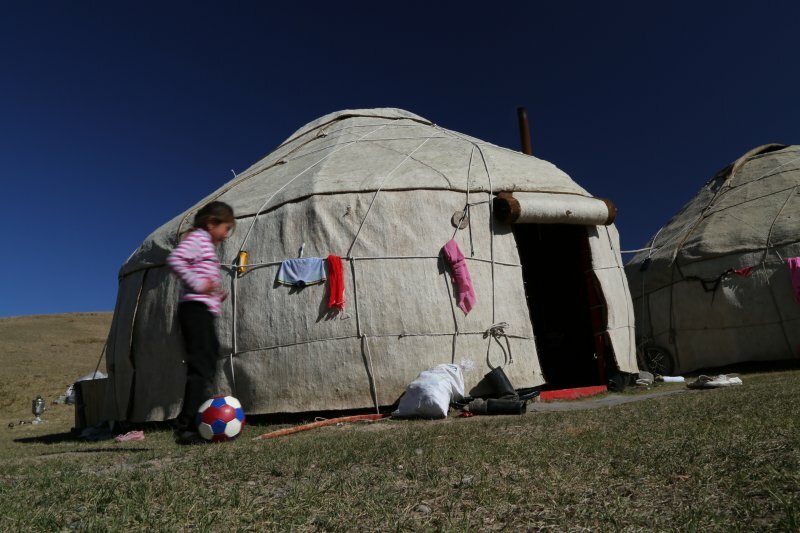 It feels and looks remote here – only a handful of Yurts are scattered randomly along its shoreline in the summer months. The landscape here is dry and arid and devoid of trees. On a clear day the contrast between the brown landscape and the blue’s of the water are stunning. 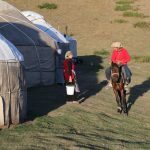 Treks can be done independently (don’t need sleeping bags as the Yurts provide the necessary sleeping blankets – quite warm) or you can arrange treks at either the Community Based Tourism (CBT) office or Shephard’s Life, both located in the small town of Kotchkor. 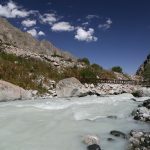 For a complete contrast in landscape visit Arashan above Karakol – Karokal is about a 5-6 hour mini-bus ride from the capital city of Bishkek – passing or stopping at Chopan Alta along the shores of Issyk-kul, the largest lake in Kyrgyzstan. During the summer there are several places to stay at Arashan (about a 4 hour hike from the trailhead) including a dormitory where three meals are provided daily. Several hot springs make for the perfect stop after hiking or riding a horse all day. 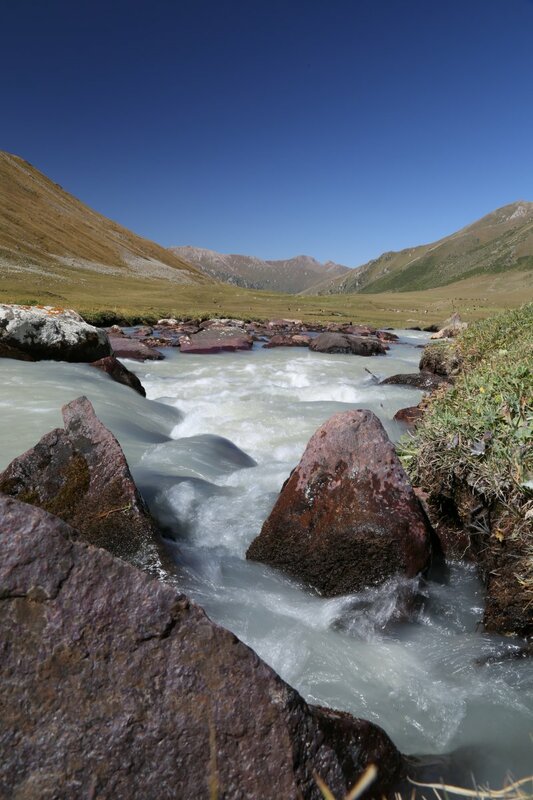 Several day trips are available from here including up to the gorgeous Altyn Arash Lake.